Tabitha Cavanagh is a Stage 3 Colon Cancer Survivor, IT & gaming recruiter, mom to almost 4 year old, and proud wife living in Pittsburgh, PA. She chooses positivity, even in darkness. She chooses it daily. She chooses it, even when it’s hard. Because, she knows, she can do hard things. The moment she decided Cancer was a blessing was the exact moment it became one. Tabitha lets her challenges excite her because she knows that there’s a powerful lesson in every struggle. She is fulfilled by helping others. If she can impact one life, sharing her story is worth it. One thing Tabitha NEEDS people to know: Pay attention to your body. You know it best. If something feels “off”, trust your gut and get it checked. Advocate for yourself & never ever stop. Also - don’t be afraid to get a 2nd or 3rd opinion. Advocating for herself and getting multiple opinions saved her life. 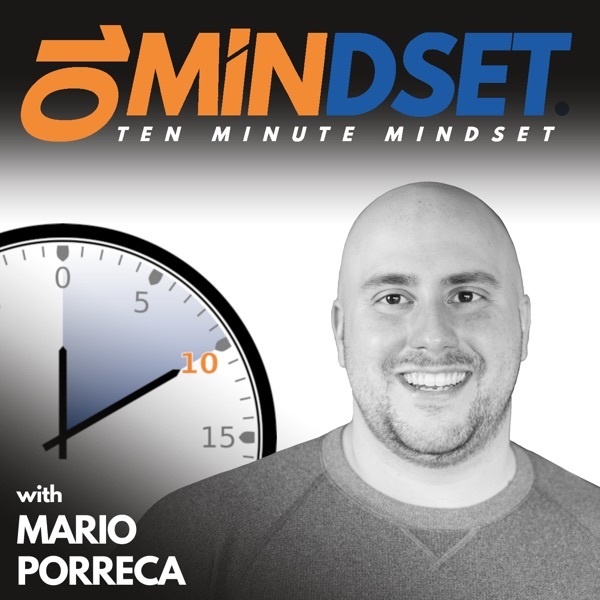 Tabitha joined Mario on 10 Minute Mindset to talk about her story of beating stage 3 colon cancer, what it was like to battle the disease, the gratitude she developed, and how she chose to make a mindset shift and become an advocate to help others who are fighting their own battle. Connect with Tabitha on LinkedIn.